I forced myself to cut the grass. I now have a beer. This entry was posted in Garden on 28/08/2017 by garymoore. Not wanting to delay too long after finishing the outside walls of the shed, I’ve made a start on the inside. 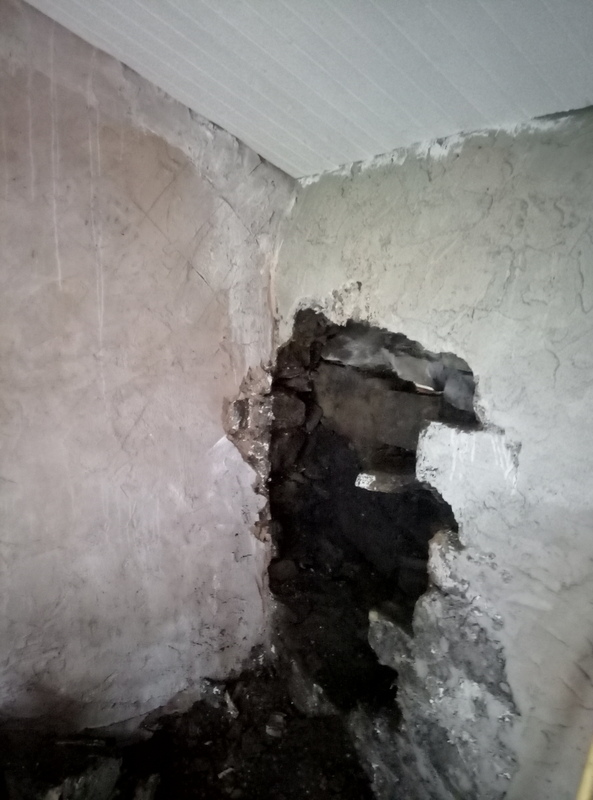 I thought it prudent to begin with the part-buried wall. 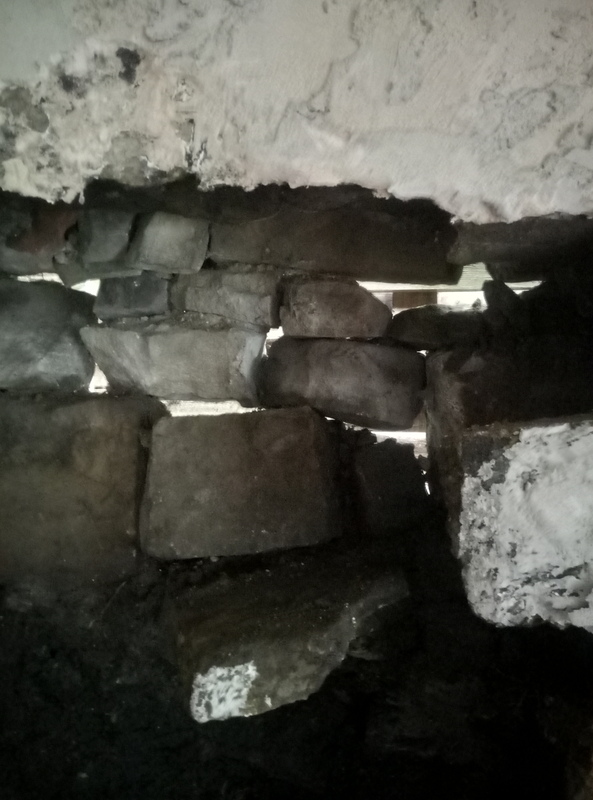 My intention was to remove the inner layer of stone, in sections (to reduce the risk of collapse), then rebuild it. I knew that the outer layer would be in a pretty bad state, but I had to revise my plan when I encountered daylight. 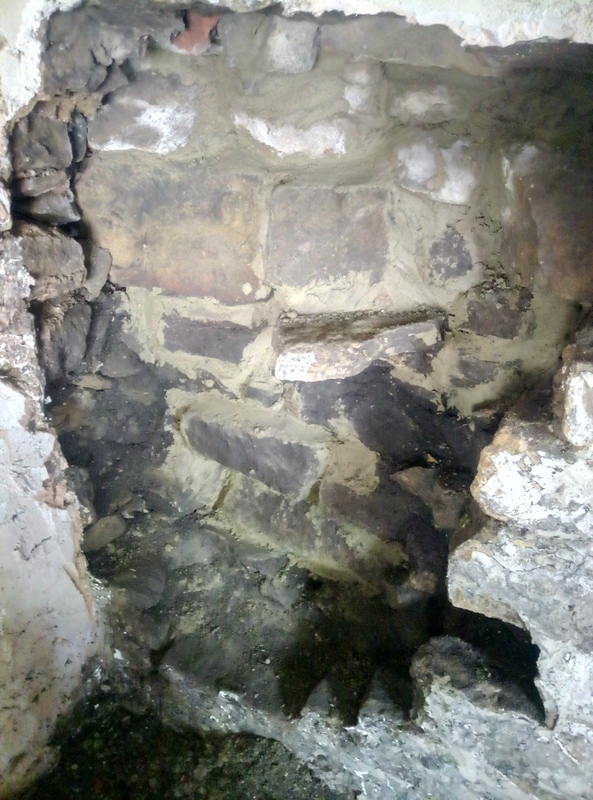 This section is now repaired, but there’s clearly some work to be done before I can rebuild the inner wall. While working on the shed, I’ve started to wonder whether it’s actually older than the house. I’d always assumed that they would have been built at the same time. But my project has walls build from very large blocks of stone. Of course, I’ll never know for certain either way. 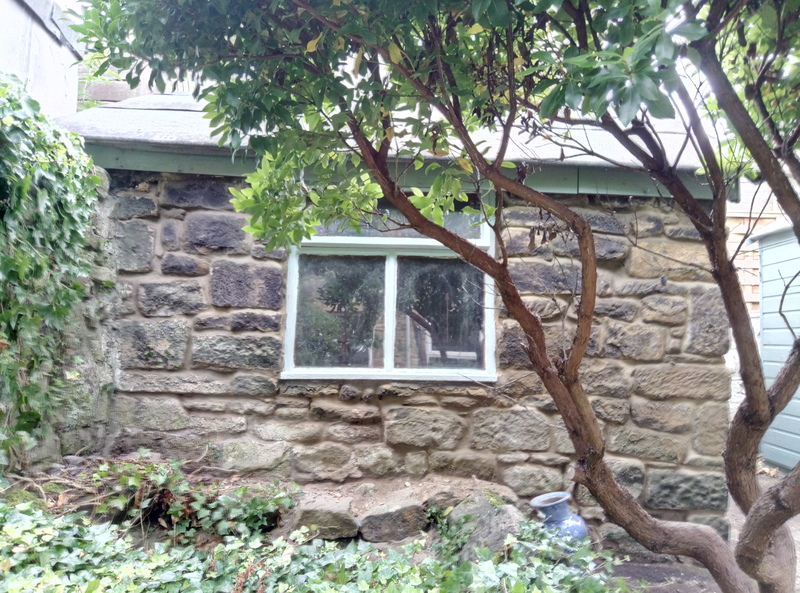 The only known face is that the shed existed in 1865, since it appears on a map from that time. It’s very likely to be older though, because the house dates back to the 1830s. Regardless of its age, the ‘s a cool little thing. I do acknowledge that I need to take care to avoid it becoming an obsession. 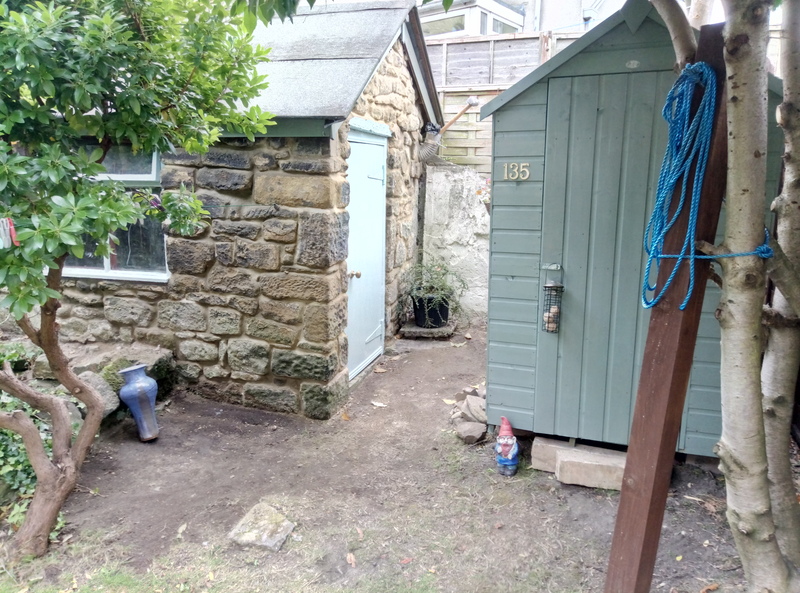 This entry was posted in Doing stuff, Garden, History, Sodhouse Bank on 28/08/2017 by garymoore. 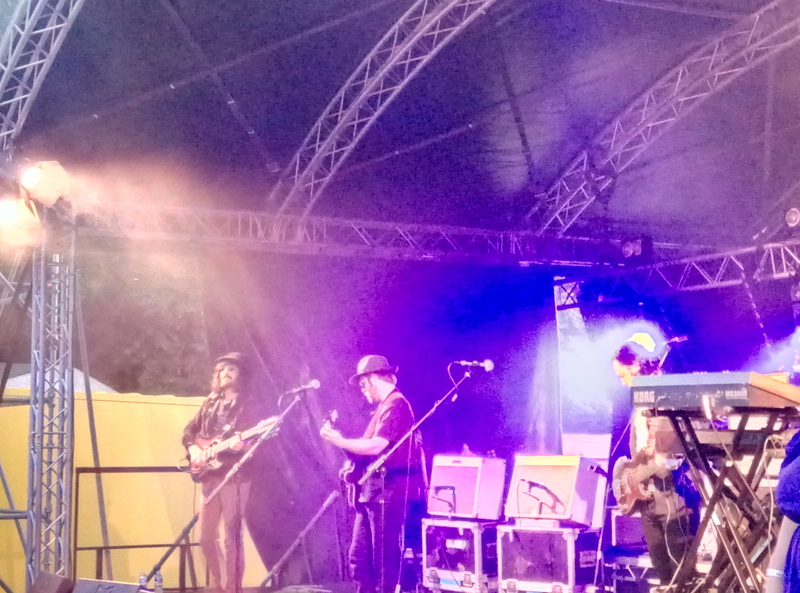 We were impressed with Chase Park festival yesterday, even though it took place in Saltwell Park this year. Which was a good thing since it’s a relatively short walk from the house. It’s a small, one day thing, so the lineup wasn’ huge. But it was a cool event. And we enjoyed the Coral. And with a bar from Wylam, with Jakehead on tap, what more could a man want. This entry was posted in Beer, Music on 27/08/2017 by garymoore. My second in command seems to be asleep on the sofa, under her Glastonbury blanket. I’m watching flog-it on TV. Today was a nice day. We spent time with a man called Simon Diamond. This entry was posted in Music on 26/08/2017 by garymoore. I had a pleasant day with gentlemen in Ouseburn yesterday. We began in Gateshead in Station East, crossing over the river to the Bridge Hotel. Then we called off at the Bridge Tavern and the Tyne Bar, before walking to the Cumberland Arms. And the Cluny, of course. And Arch 2. Afterwards, there were cabs back to town and the newly opened Newcastle Tap. Incapable of my usual, local nightcap, I retired early. Waking early this morning, I fitted the last piece of stove pipe, so I now have a working chimney. This afternoon, we’re off to Chase Park festival, which isn’what I’d really call a festival, and isn’t actually in Chase Park. This year, it’s just down the road in Saltwell Park. 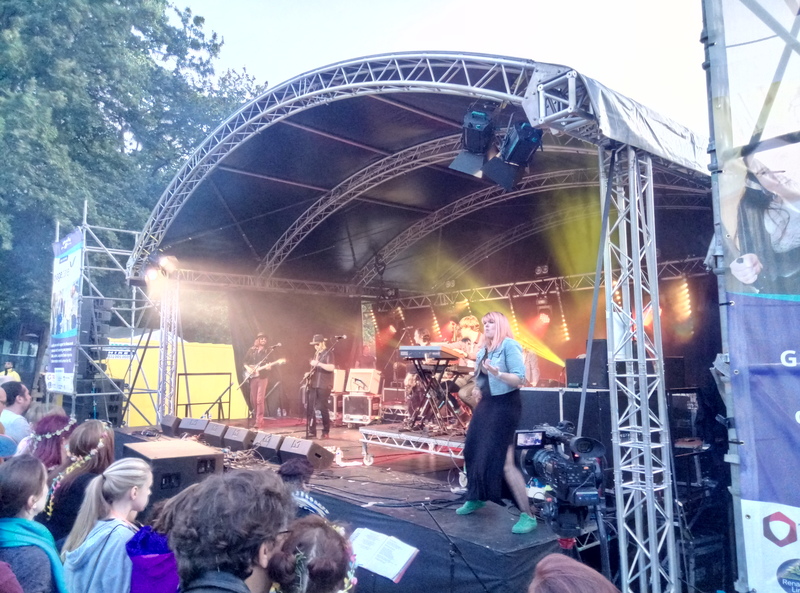 This entry was posted in Beer, Culture, Doing stuff, Garden, Music, Out and about, Sodhouse Bank on 26/08/2017 by garymoore. 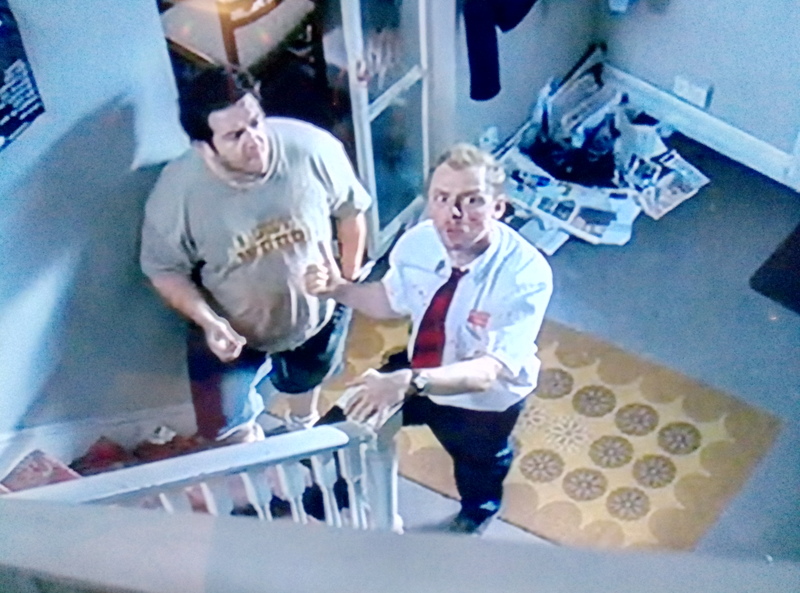 Currently watching Shaun of the dead. It all brings back fond memories of my time as a zombie. This entry was posted in Apocalypse, TV on 23/08/2017 by garymoore. Have you ever had problems with your shirt hanging out of your trousers? Yes? Then Mr Shirt could help you. 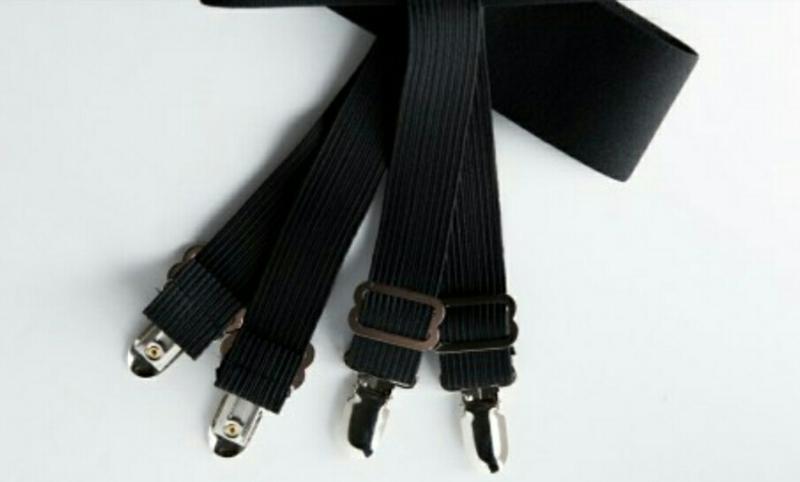 Surprisingly, some men will sport upside down braces which hold their shirt down at all times. I stumbled upon the device while browsing new startups on indigogo. I need to make it clear that I didn’t purchase a set. One does wonder whether these could be dangerous in terms of limiting blood circulation. And just imagine the potential damage if one of those clips were to suddenly become detached. This entry was posted in Clothing, Weird on 22/08/2017 by garymoore. While I was occupied with man stuff earlier, my second in command went for a haircut (and nails). 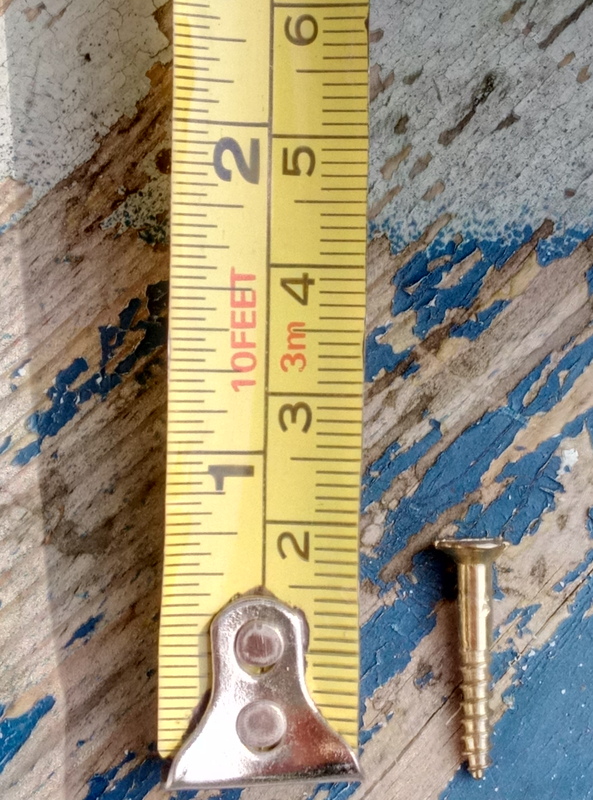 Which was fortunate, since I realised I needed some small brass screws. Rather than attempt to describe the screws (I’m not sure I could have done accurately), I opted for a picture. I quite like the picture. I may email it to work and use it as wallpaper. This entry was posted in Art, Doing stuff on 20/08/2017 by garymoore. I’ve spent the best part of today in the garden again. 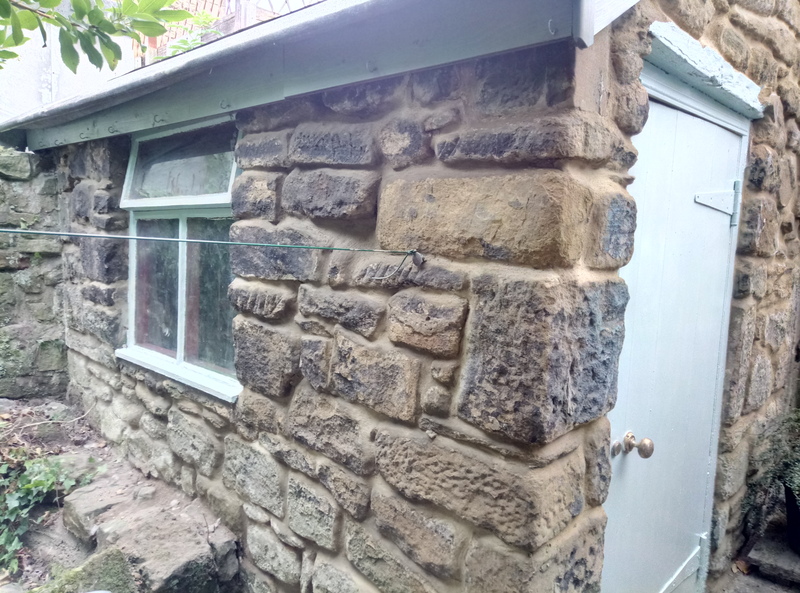 But the outside (or the 50% which is accessible) of the shed is now finished. 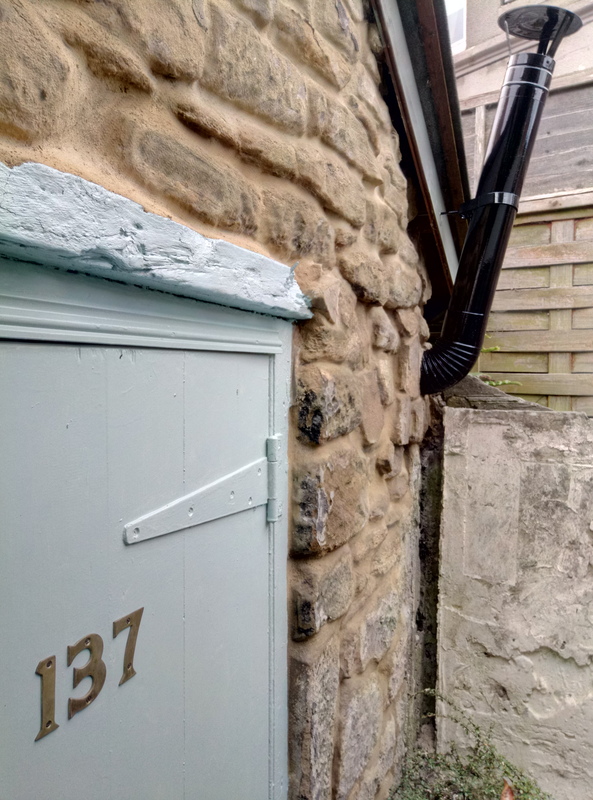 The door numbers (137) just need to go back on when the paint’s dry. The new shed is also now appropriately numbered. The sledgehammer in the stove pipe is temporary, I should say; it’s holding the pipe at the right angle (I didn’t want to cut away part of the roof) until the cement sets. Then I just need to add another section of pipe and I’ll be able to test the stove. 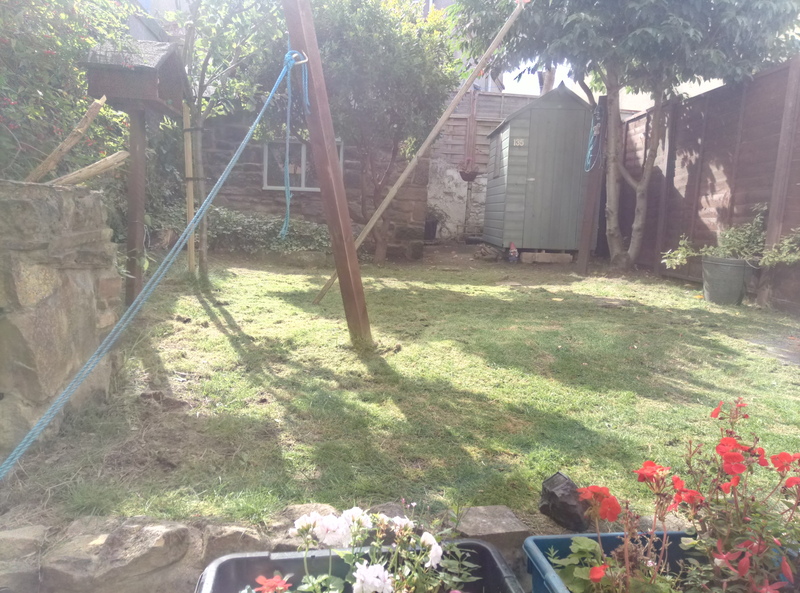 This entry was posted in Doing stuff, Garden, Sodhouse Bank on 20/08/2017 by garymoore. While in my local public house yesterday evening, Being entertained by a group of rather good musicians, I noticed a tall man dressed in black. He sported a black fedora too, an unusual item in Gateshead. And it was his hat which caught my attention. I’d not seen him in several years, a decade perhaps. He regularly frequented my local with his partner, usually on a Friday or Saturday. They seemed to be a really close middle-aged couple. The last time I saw them (her), around eight or nine years ago, she spoke about the new car she’d bought him. The one he disappeared in. Along with the contents of her bank account. One probably shouldn’t trust a person you’ve met ‘on’ the internet. This entry was posted in Internet, People, Scumbags on 19/08/2017 by garymoore.